Platform to provide Lessors & Airlines with the most precise and accurate control over asset leases and finances. 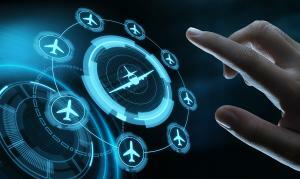 TAMWORTH, STAFFORDSHIRE , UNITED KINGDOM, April 9, 2019 /EINPresswire.com/ -- FLYdocs, the aviation data and digital records management solution provider, today announced the official launch of its new Asset Management Platform at MRO Americas 2019. In leading the digital innovation charge in aviation software, FLYdocs is taking a huge step forward in helping lessors and airlines realise the full benefits of embracing a paperless future. • Event management, including automated reminders of critical events such as insurance schedules, annual rate escalations and utilisation reporting. “One of the largest challenges for lessors and lessees has been the inability, using current software, to accurately forecast maintenance reserves and end-of-lease compensation, which can have a major impact on business health and asset value,” comments Mark Hadfield, FLYdocs’ Head of Asset Management. FLYdocs will be exhibiting at MRO Americas, taking place at the Georgia World Congress Center in Atlanta, Georgia, USA on 9 – 11 April. To schedule a demo, please contact info@flydocs.aero or visit their team on Booth #2425. FLYdocs is the world’s most advanced aircraft data and records management platform. The FLYdocs Big Data solution is utilised by airlines and lessors worldwide to efficiently manage assets, data and records in real time to transition assets at sale or end of lease on-time in a fully paperless way. The FLYdocs system is underpinned by an aggressive software development programme which has new modules available for customers including Project Management, FLYsign Digital Sign-off [with electronic workflows], Authorisations & Training Records Management and the FLYdocs integrated electronic documentation and authoring system.